Fridays have become my absolute favourite day of the week and here’s why…. 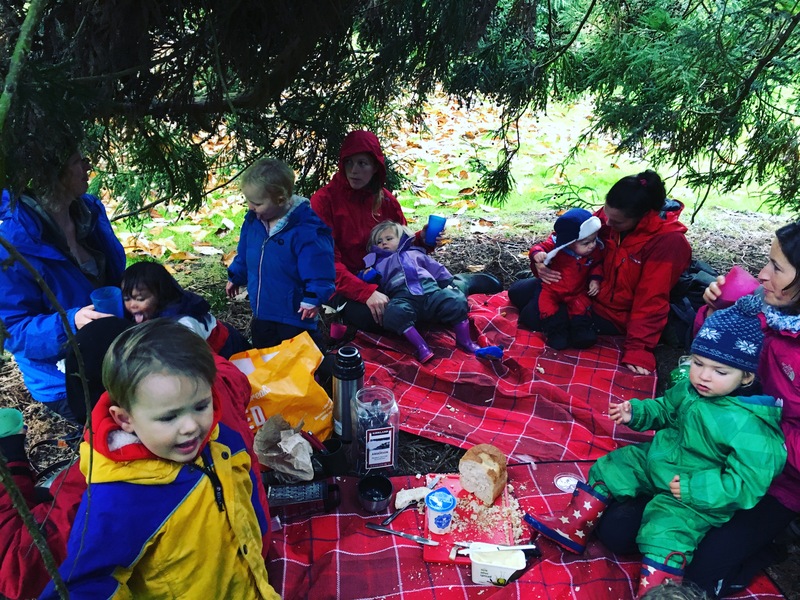 Come rain or shine, every Friday I spend the day with a fantastic bunch of adventurous mummies in a beautiful forest, with all our kids playing together, exploring, climbing, den-building, running, chasing, rolling, foraging, walking, throwing, catching, paddling, and ultimately, learning and having fun. 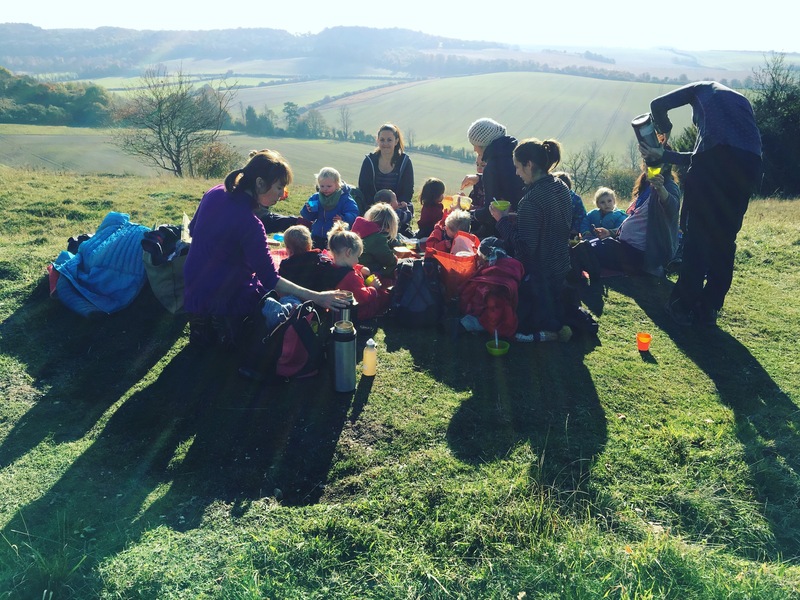 It’s a simple set up – there’s a group of ten Mummies and eleven children aged 1 – 4 (with 11 more at school!). We go to a different location each week, exploring new areas as well as returning to some favourite haunts, and trying to make the most of seasons and what each location uniquely has to offer. We meet at 10.00am and spend some time walking and exploring and then make a base, or make a base and then walk/explore from there. 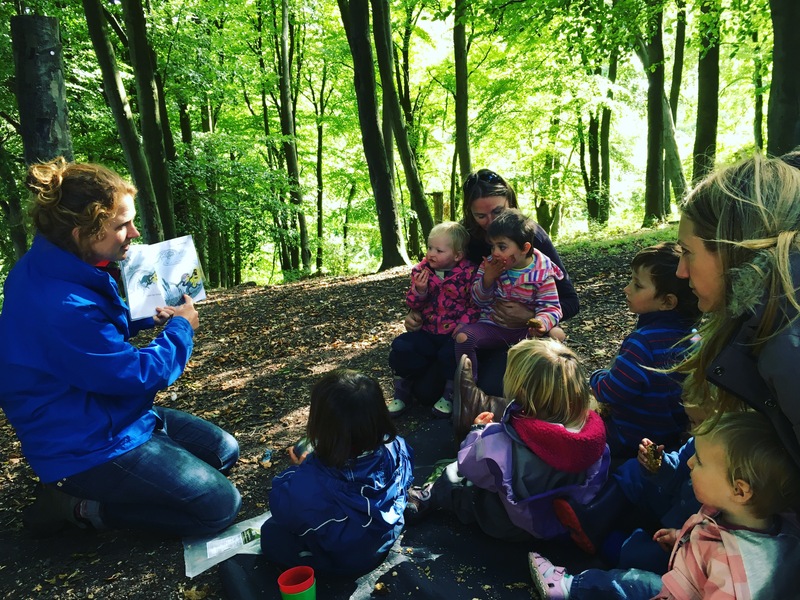 The day just evolves in response to our explorations – whether there’s an awesome tree to climb, or some interesting fungus to investigate, some hills to roll down, a den to build, some conkers to collect, insects to inspect, streams to dip toes in, or leaves to make into patterns…. We just go with the flow. One person brings flasks of homemade soup and bread, butter and cheese, one person brings fruit and one person brings cake and hot-chocolate. A rota has been made for this for the whole season so each person knows in advance what they are responsible for. There is a big bag with all the flasks, picnic rugs, crockery and cutlery in it, and at the end of each meet, this gets handed on to whoever is ‘on soup’ the following week, so they wash it all up and bring it to the next session, before passing it on again at the end, and so on. It’s absolutely fair, efficient and it works brilliantly! After lunch we have a story and we usually head back home around 2.00pm, with the kids normally falling asleep within about one second of getting in the car because they have had such a good run around and lungfuls of fresh air. The bunch of friends who I do Forest Friday with have been meeting up like this looooooong before I ever arrived on the scene, so I claim absolutely no credit for the Forest Friday set up. 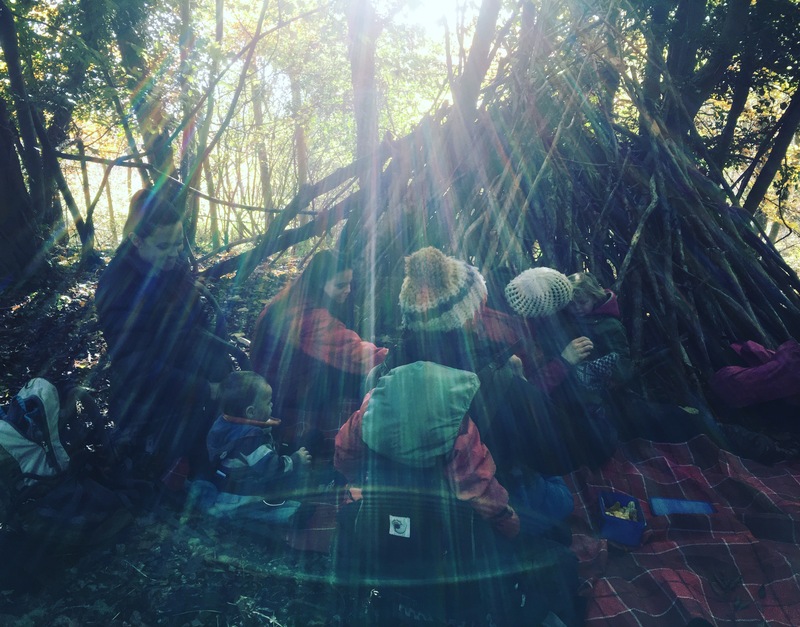 I just feel incredibly lucky that I chanced upon moving to a small village in the middle of Oxfordshire that is full of such awesome, adventurous, earthy and outdoorsy souls who share the same values as me, and that I could just step into this. But if you’re not quite so lucky, then make it happen! 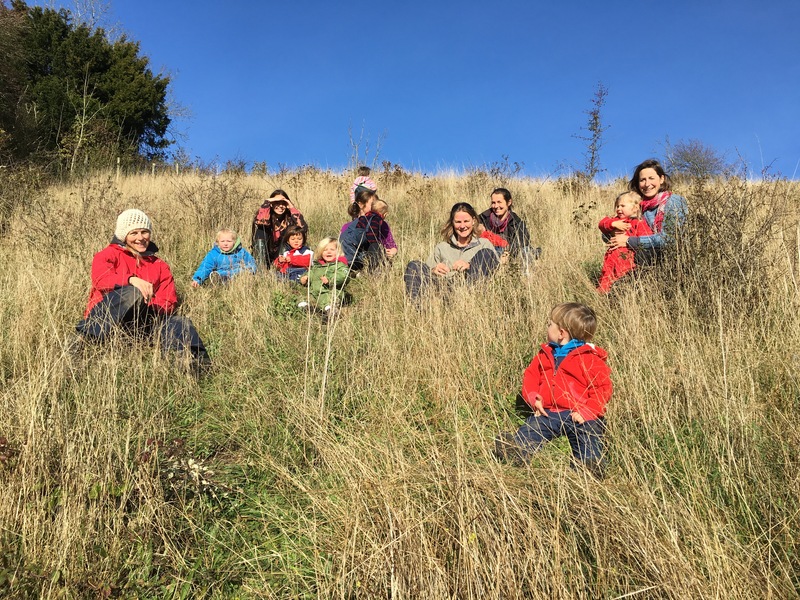 All it takes are a few friends who want to get outside with the kids more, who are happy to commit to your chosen day; it doesn’t have to be Friday, and it could even be just the first Saturday of every month. Then, choose your first location, decide who is making what and get out there! Simples. Exploring new local areas, fresh air, a good catch up with friends, some yummy soup (and cake! ), and quality time spent with your little one – I cannot think of a better way to spend a Friday. 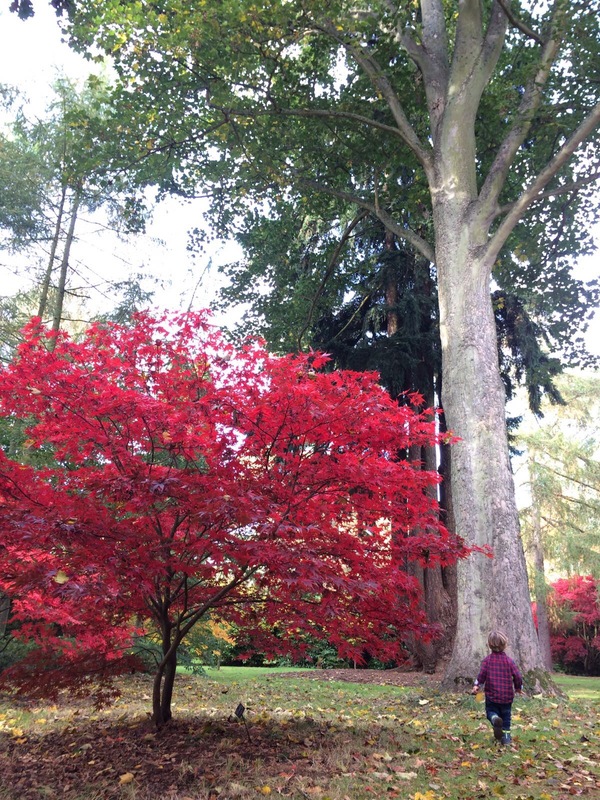 Oskar now counts down sleeps until “Forest Friday” and I have to say… I do too.